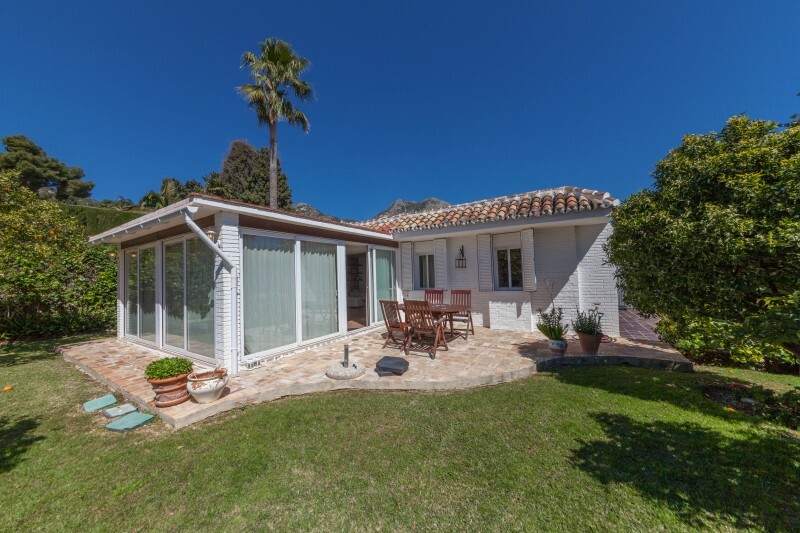 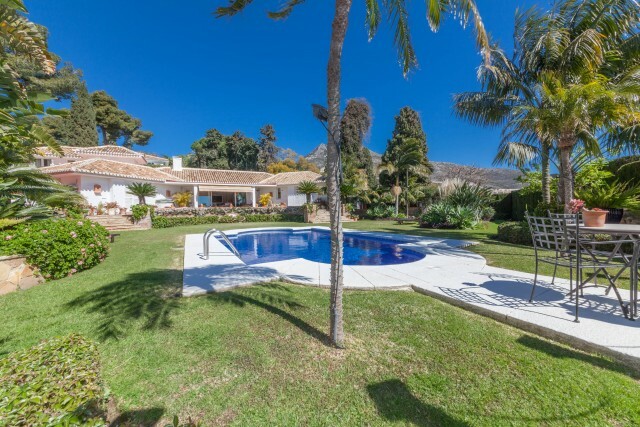 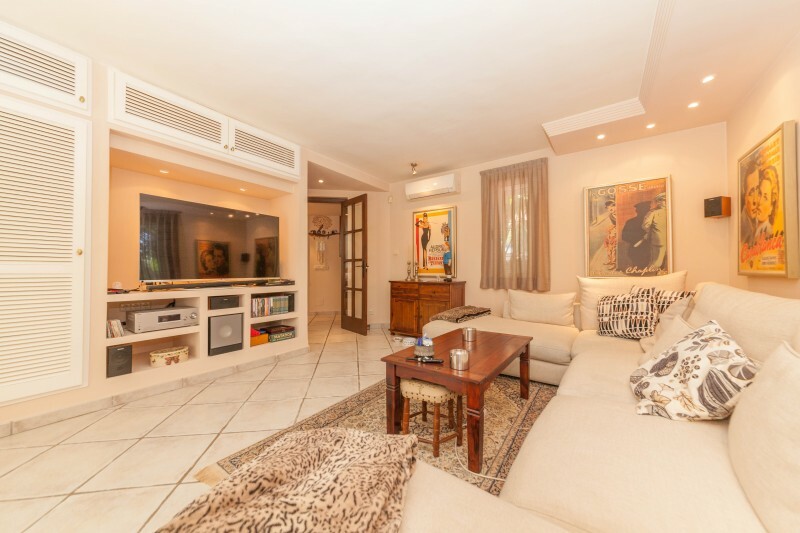 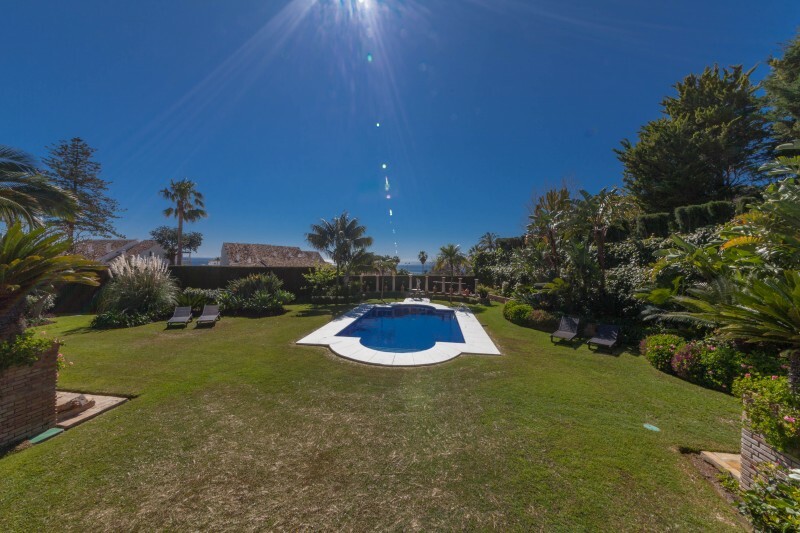 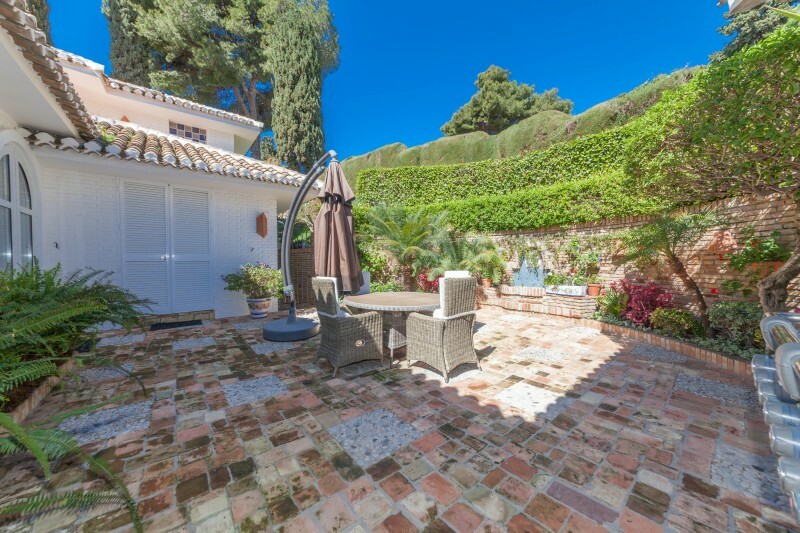 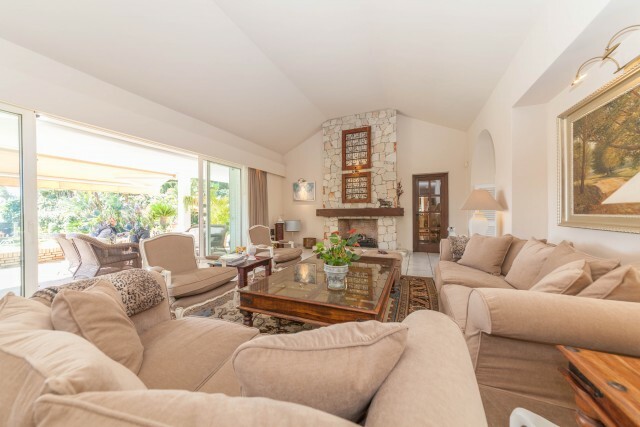 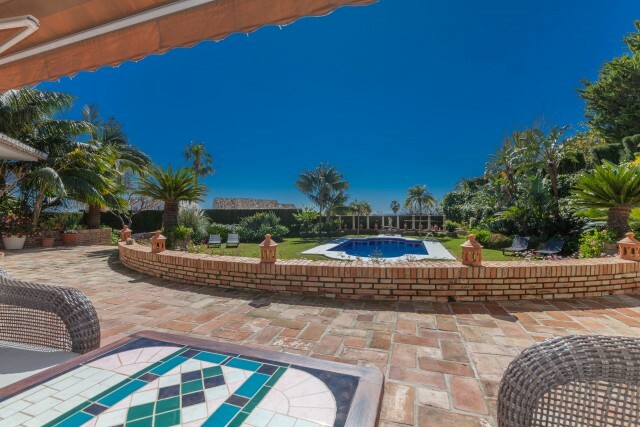 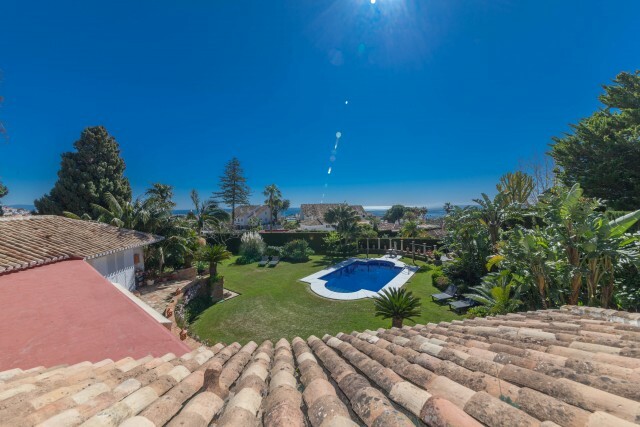 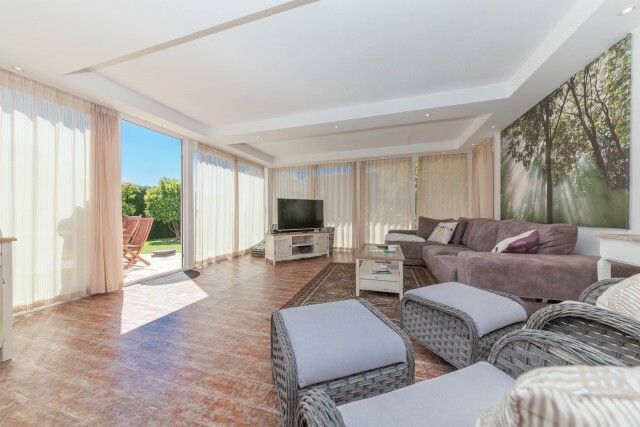 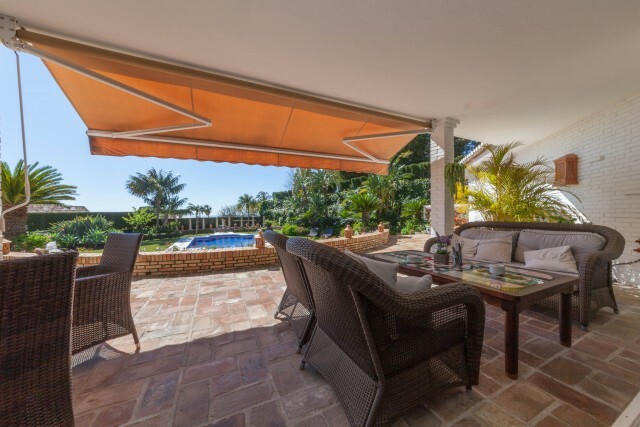 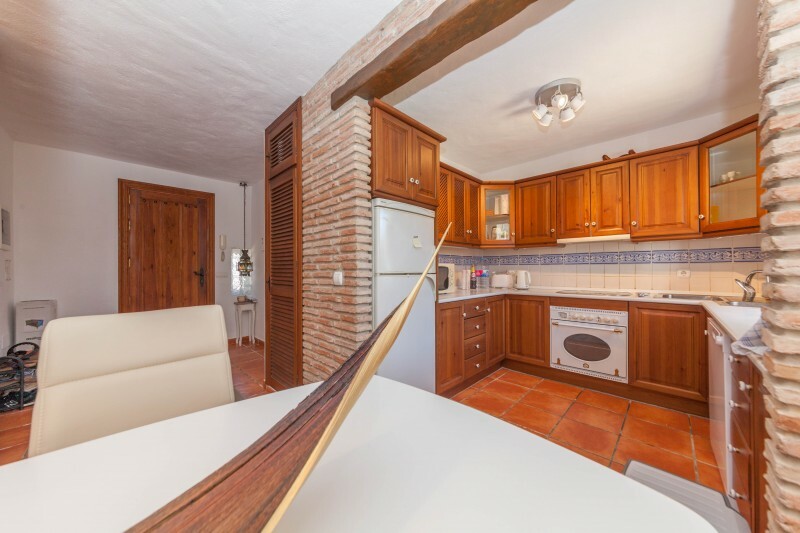 This is a beautiful villa situated in one of the Costa del Sol's most established and prestigious locations close to the picturesque Benalmadena Pueblo and with easy access down to the beaches, Malaga Airport and the thriving city of Malaga with its cultural activities, restaurants and marina. Rancho Domingo is a community of quality villas and this home stands in a large garden plot which commands impressive views out to the Mediterranean. 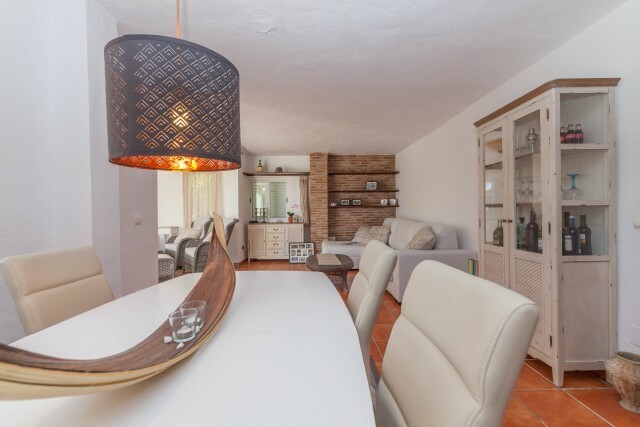 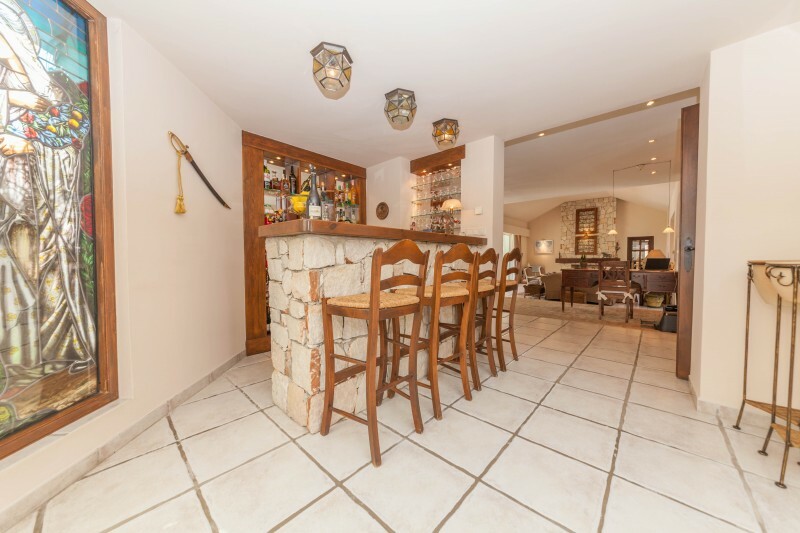 The villa is mostly built on one level and has been fully refurbished to provide bright and spacious accommodation in the modern style whilst retaining the warmth and character of the original design. 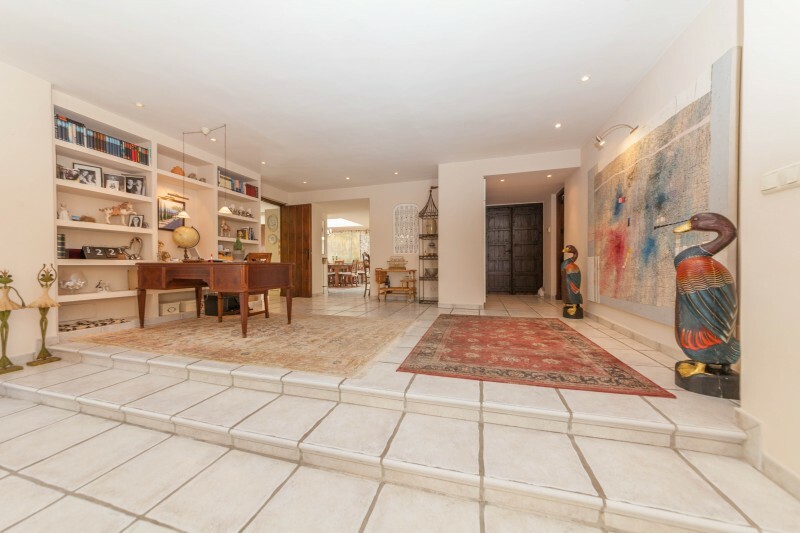 An impressive carriage style entry leads to the front door which opens into an entrance hallway which in turn leads through to a large open plan split level reception room with vaulted ceiling which provides a large sitting room with open fireplace and a possible dining or study area on the upper level. 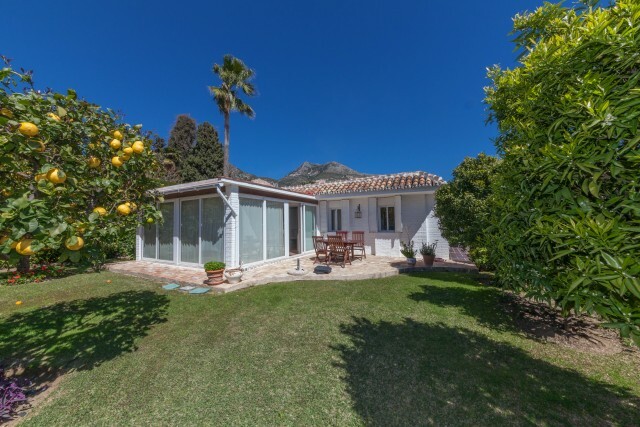 French doors lead out to an extensive covered terrace which affords wonderful sea views. 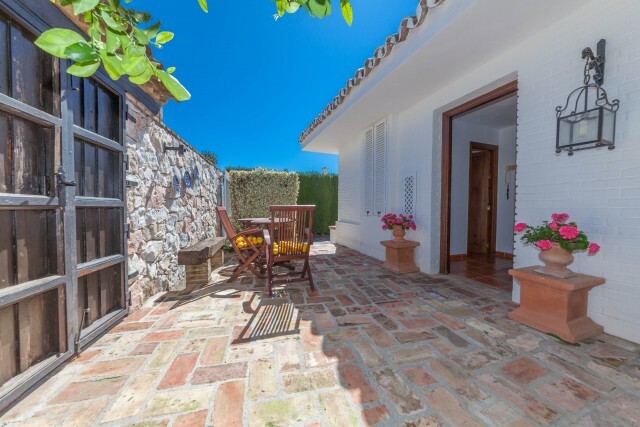 A further French door leads out to a secluded and sheltered courtyard terrace which is perfect for al fresco dining and sheltering from the sea breeze. 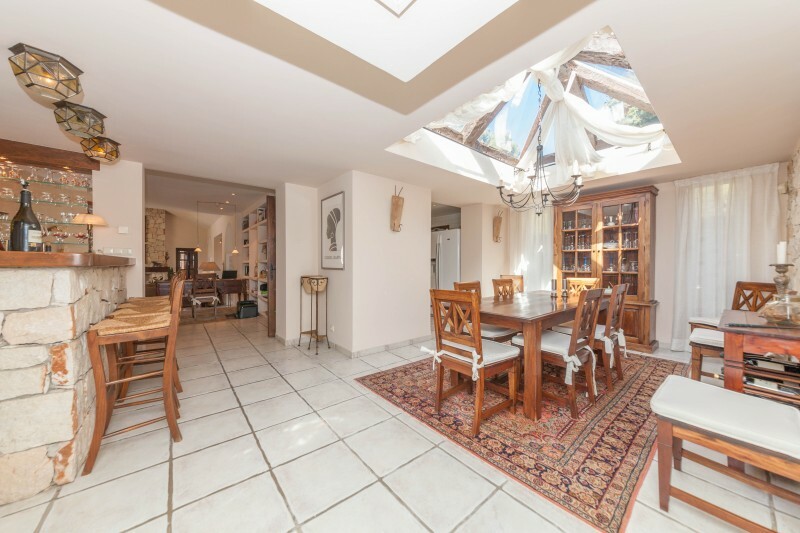 There is a further dining room with roof light window and built in bar leading through tyo a comprehensively fitted kitchen which includes granite work tops and a range of appliances including oven, microwave, hob, dish washer and American style fridge/freezer. 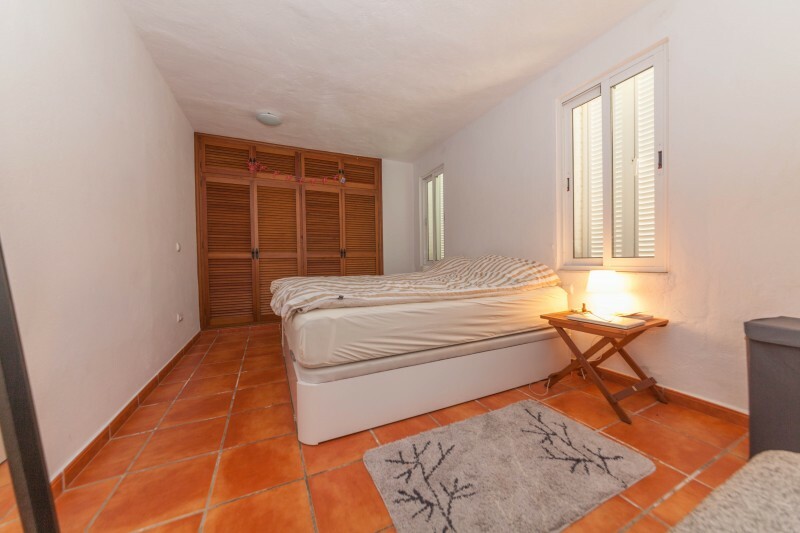 There is a utility room with washing machine and drier and access out to the courtyard terrace. 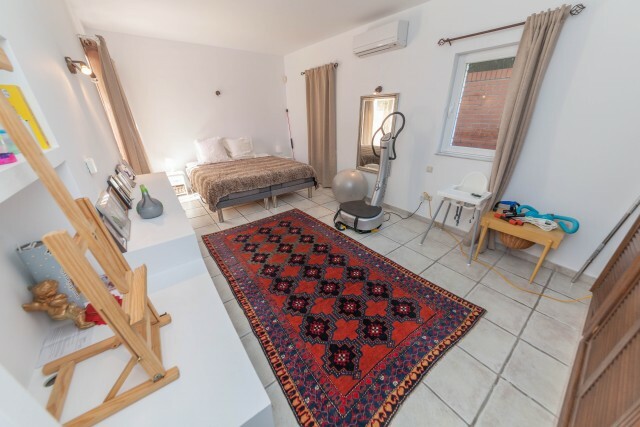 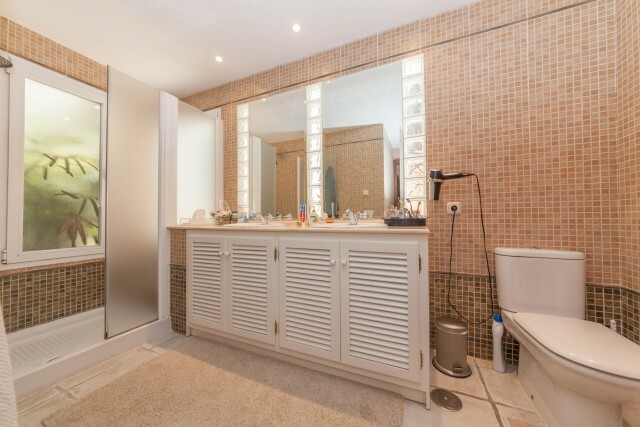 There is a TV lounge which may be used a fifth bedroom plus a guest cloakroom with w.c.
An innerhallway leads to the Master bedroom which has fitted wradrobes and access out to the terrace. 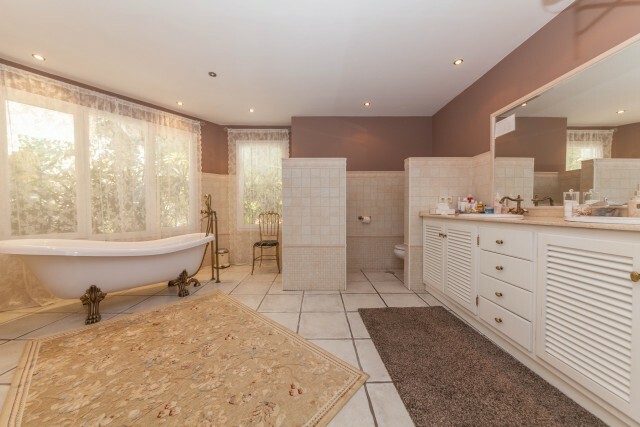 The luxury en suite bathroom has a slipper style bath and walk in shower. 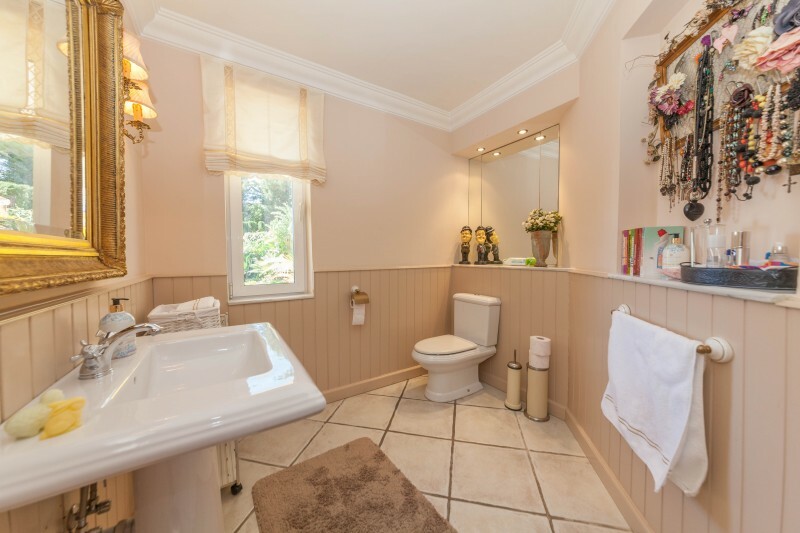 There are two further bedrooms which share a bathroom with walk in shower. 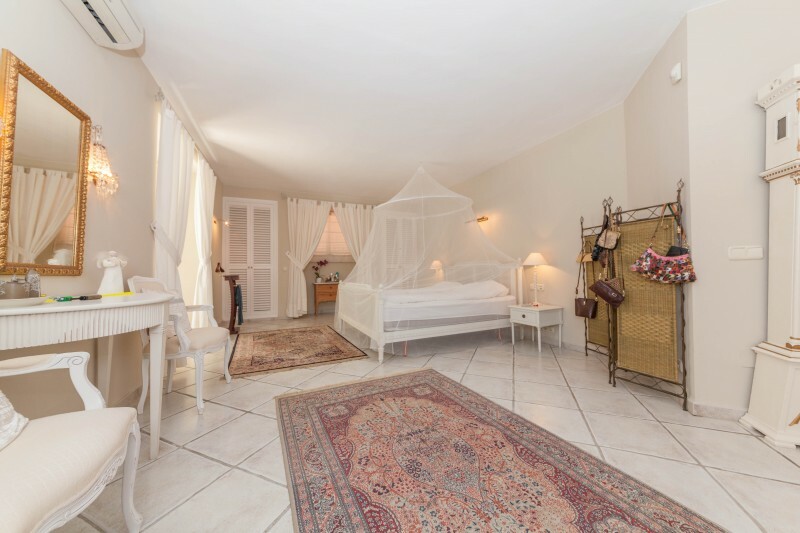 The fourth bedroom is the only room on the upper level of the house and has access to a terrace and en suite bathroom with walk-in shower. 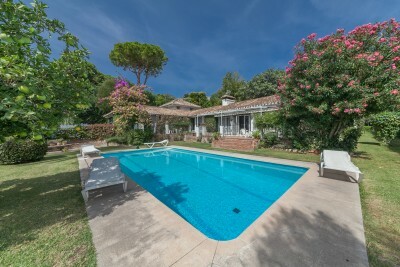 There is hot and cold air conditioning together with modern double glazing and under floor heating throughout the villa. Outside there are well maintained gardens with open views and a lovely heated swimming pool. 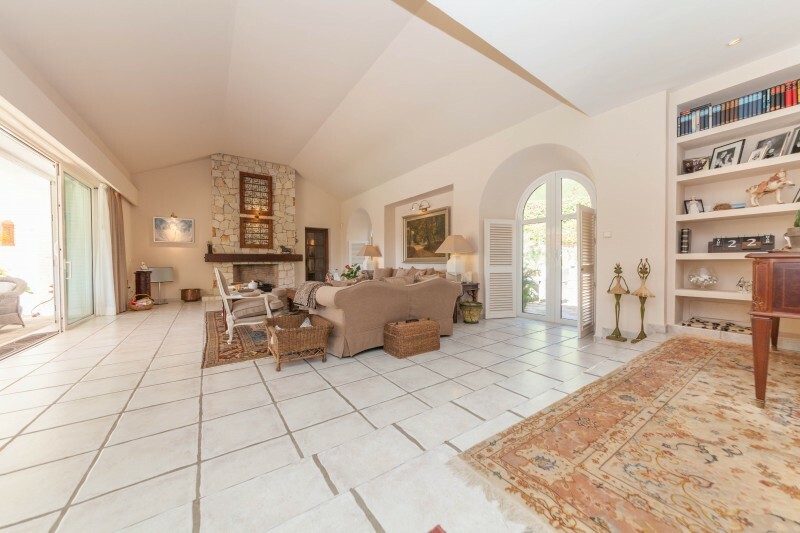 To the front of the house there is the in and out driveway with car port/garage and further parking space. The guest house stand in a separate adjoining plot and has its own private garden and terrace. 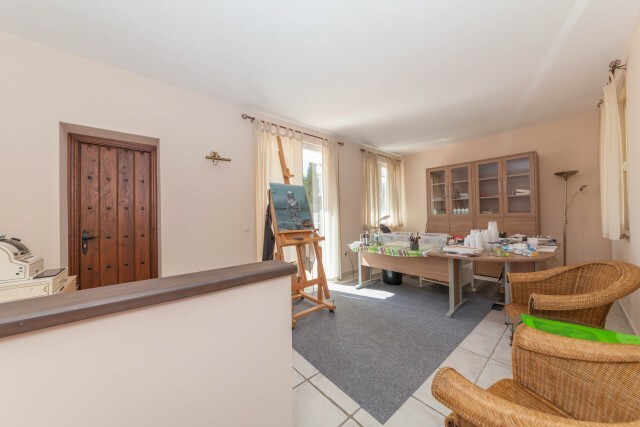 There is a spacious open plan living room with sining and sitting areas and access ou to the garden and terrace. 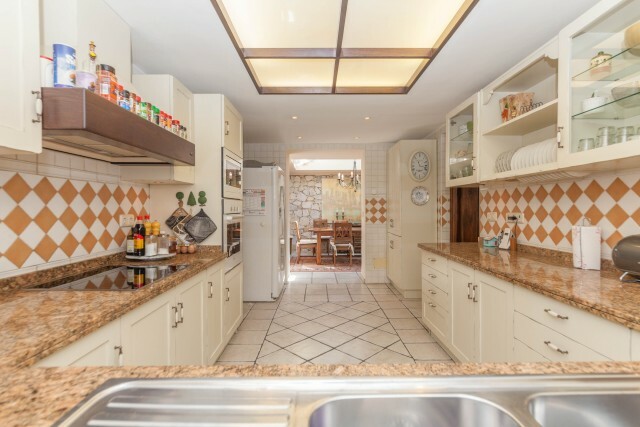 There is also a fitted kitchen with built in oven, hob, dish washer and fridge freezer plus a bedroom with fitted wardrobes and bathroom with walk in shower. 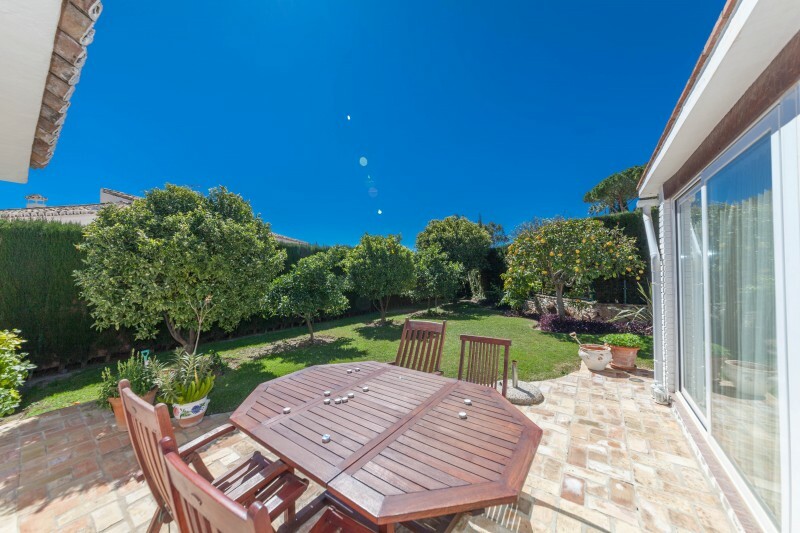 Outside, in addition to the garden there is a drive-in with automatic gates.